The offer for talks came with no guarantee of Pakistan offering to dispel Indian concerns about its current activities of encouraging terrorism in the valley and about acting against the perpetrators of Mumbai attacks. 2018 was the election year in Pakistan and Imran Khan, the nominee of the army chief, took over the mantle of the prime minister. In his opening remarks as prime minister, he spoke of peace with India and offered talks. He even sent a letter for dialogue between the two foreign ministers on the sidelines of the UN General Assembly session, which India rejected. The offer for talks came with no guarantee of Pakistan offering to dispel Indian concerns about its current activities of encouraging terrorism in the valley and about acting against the perpetrators of Mumbai attacks. On the other hand, Pakistan has continuously been blaming India for its internal ills, whether it be the Baluchistan Freedom Fighters or the Tehreek-e-Taliban (Pakistan). It recently blamed India for planning and plotting the Karachi attack on the Chinese consulate, which India denied. The opening of the Kartarpur corridor was a major step. It fulfilled a longstanding demand of the Sikh community. 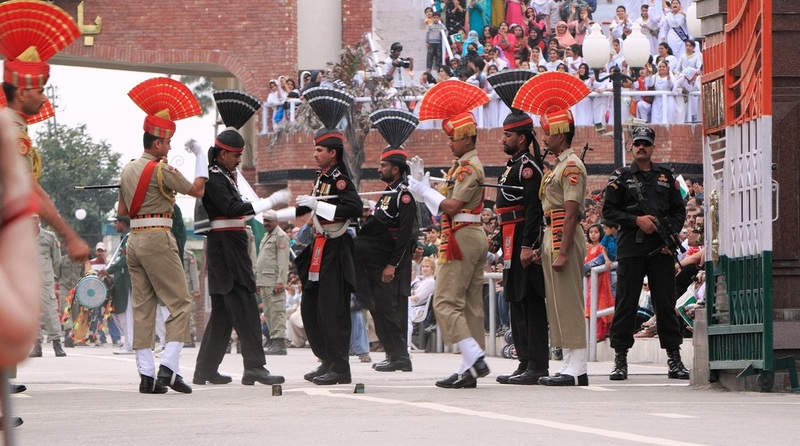 Interestingly, the initial announcement for opening the corridor was made by Pakistan’s army chief to Punjab minister Navjot Singh Sidhu, during the swearing in ceremony of Imran Khan. The official communique on the corridor was the result of effective diplomacy, with both nations announcing near simultaneously the ground-breaking ceremony. The presence of anti-India and pro-Khalistan leader Gopal Singh Chawla at the Pakistan end of the ceremony was a setback. The beginning of the current year has seen multiple developments in Pakistan. The country is in dire financial straits and as per the Sind Chief Minister, Imran Khan is running with a ‘begging bowl across the world’, seeking to collect funds to stave off an adverse economic crises. It has received some relief from Saudi Arabia, UAE and China. The Pakistan finance minister announced the country is contemplating not going to the IMF at present. Funds provided in dire needs always come with riders, never free. These would flow with time. In this dire financial state, the Pakistan army has announced its intention to procure 600 battle tanks and other equipment, including 150mm Self-Propelled Mike 10 Guns from Italy and Air Defence Equipment from China. There are reports of some guns from Italy having arrived. It appears to be a desperate attempt to offset some of the conventional edge of the army in India’s favour. Pakistan has also announced plans to procure 62 JF 17 jets from China as India enhances its airpower with the induction of Rafale and Tejas aircraft. A report in the Chinese press recently stated that China has begun construction of four ‘most advanced’ naval warships for Pakistan. These would be capable of antiship, anti-submarine and air defence operations. With the present state of its economy how would the nation be able to pay for these procurements remains to be seen. These may be just announcements as the loans being received are insufficient for defence procurements. China, which is Pakistan’s main supplier, may be willing to supply hardware at a lower cost as it benefits them, since Indian military preparedness and capability development is impacted. India needs to cater for both fronts. However, nothing comes free and without something in return. Imran has continuously criticised India for its handling of the Kashmir situation and openly supported the Kashmir cause. He has repeatedly been stating that the anti-Pak rhetoric in Indian media and India’s refusal to commence talks has been due to impending elections. India is presently vulnerable. The nation moves into election mode with national security, including procurement of military hardware, and relations with Pakistan, including the successful conduct of the surgical strike, dominating the agenda of campaigning. The BJP would project its firm handling of Pakistan as its strength, while the opposition would seek to criticize, claiming this approach has had no effect and tensions along the border and the situation in Kashmir have remained unchanged. The present government has firmly stated that there can be no talks unless Pakistan stops abetting terror in the valley and acts against the perpetrators of Mumbai. In a recent communique it released five reasons which indicate that Pakistan has no desire for peace and its claims for talks are only a whitewash. It has also given a free hand to the army to act along the border. All its actions, including sanctioning of the surgical strike, have irked Pakistan. The government has refused to even consider attending the SAARC summit, which has placed Pak in a disadvantageous position. It has used foreign policy as a tool to isolate Pakistan in the diplomatic arena, leaving it almost alone with only a few friends. Despite China’s support, India has pushed quietly to have Pakistan placed on the Financial Action Task Force’s (FATF) Grey List. Pakistan is presently struggling to get off this list. There may be a thaw in US-Pak relations as the US desperation to withdraw from Afghanistan increases. For Pakistan, a change of government in India or a coalition government with a weak leader at the helm would be of immense advantage, as earlier experiences have indicated. Hence, it would be considering its options to create an environment which could lead to such a government formation. 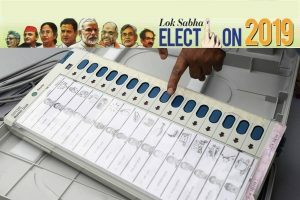 It is aware that any action which could cause casualties close to polling time could impact elections and possibly change the political climate at the apex. While Indian security forces would remain on high alert to thwart such attempts, they are always possible. India would need to use every forum to send across a clear message to Pakistan that any misadventure, especially close to elections would be extremely costly and India would be compelled to act firmly, disregarding the nuclear threat which Pakistan continues to project. The message must be clear, concise and firm, sinking into the heads of Pakistan’s military leadership. This warning has been sounded regularly by General Bipin Rawat, the army chief. He has been stating that any misadventure by Pakistan would draw a response. This position needs to be continuously projected and the army’s actions must deter Pakistan.